While virtual trade show technology has been around for a number of years, the market for virtual events saw significant growth, as the global economic downturn forced some physical shows to move online. At the same time, the preference for "green and clean" technologies made virtual events a logical, attractive choice. 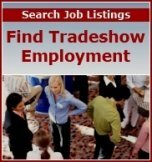 In addition to virtual shows, a number of additional formats have gained popularity and adoption, including virtual career fairs, virtual sales meetings and virtual partner summits. Moreoever, a number of pioneering companies are successfully implementing hybrid events that complement a physical trade show with a concurrent virtual event. 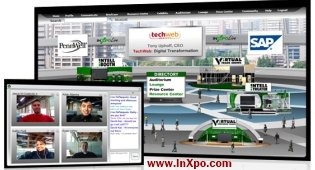 Planning and executing a virtual trade show or on-line event is not easy. While it does leverage web technologies, virtual events require the same level of attention and commitment as a physical tradeshow or event. Select the right show focus and content – Similar to a physical event, be sure to select a timely, high-demand trade show that will interest and attract your target audience. Assemble the right team – The success of a virtual tradeshow depends on the underlying team that maps out the timeline, executes against it and provides an excellent experience to exhibitors and attendees. Leverage colleagues who have produced a virtual event before – if none have, reach out to expert virtual event providers for assistance. Give yourselves enough lead time – As with any large scale project, things don’t always progress at the pace you’d like.Whether it's deliverables from an exhibitor, graphics from the creative agency or an email list from your marketing department, insert sufficient padding into the timeline. One of the biggest dangers of virtual event execution is the rush job to get to the finish line. Leverage social networks for event promotion and awareness – Leverage a Facebook fan page, Twitter, a LinkedIn Event posting, a YouTube channel and postings on your corporate blog.These efforts require your time and effort, but are extremely cost efficient – and the potential for awareness and buzz to spread via social circles is enormous. Provide adequate training to exhibitors – Provide a sneak preview day, during which exhibitors (and only exhibitors) can login to the environment, familiarize themselves with navigation and platform features and review the structure and content in their booth. Provide adequate staffing during the event – Be certain that staffing levels are sufficient to provide attendees with proper amounts of technical and logistical support. In virtual events, the majority of inquiries are more logistical (e.g. where do I go to attend the sessions) rather than technical. Provide on-demand access after the event concludes – For those who were unable to attend the live event, provide on-demand access, so that visitors can view the sessions and exhibitor booth content. Schedule a post-event debrief – Based on your upfront goals and objectives, assemble the team after the event to review your virtual trade show results (against the goals). The key learning points will make your next virtual event even better. This article was written by virtual tradeshow expert Dennis Shiao, Client Services Executive at InXpo.